Reading is a strange thing. I find it completely different than anything else in life. That’s a pretty profound statement because well, EVERYTHING is different than EVERYTHING else. But what I mean is that reading makes me feel, think and act in a way that can’t be mimicked by any other activity. I am currently reading “Darker Than the Deepest Sea: The Search for Nick Drake” on my lunch breaks at work. There’s something about reading during these 30 minutes that just makes the pace of time feel so natural. Let me explain: I consider 30 minutes to be a pretty short period of time. While getting engulfed into the life of an enigmatic character like Nick Drake, those 1800 seconds feel like they are over before they started. Compare this experience to 30 minutes of sitting at a computer and working and I think you get what I mean. 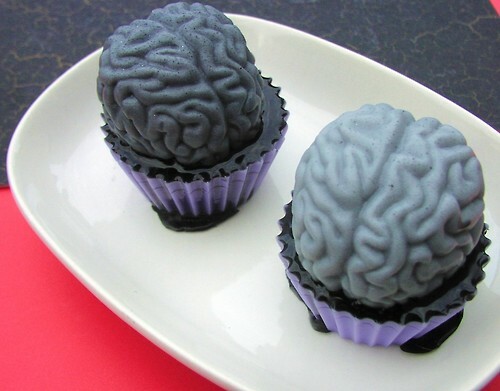 I picture my brain as this gooey ball that sometimes lets in some new stuff, but mostly forgets the things I have learned throughout my life (probably looks something like the gooey brain cupcakes shown here to the right). Most of the time the gooey ball just kinda sits there while I watch TV or listen to music and grooves along with the frequencies traveling through the air. But when I am reading, I feel like the words and messages being communicated to me are actually flying off the page, into the goo, and giving my brain some sort of structure. The words from books actually stick around and more often than not, make it into sentences or my writing. Side note: I actually enjoyed readying during my graduate studies. I would be watching TV and thinking “hey, I’m looking forward to reading after this show is over.” My brain is one weird specimen. Ok, I’m pretty nerdy. I am currently also reading “A Short History of Nearly Everything” on my iPad. This book is 900 pages of everything you learned in elementary, middle and high school but didn’t really care about at the time. I’m getting a second chance to learn about the history of dinosaurs, the solar system, elements, geography, atoms, gravity, etc. The weird thing is that as I am learning about the evolution of Earth and on a larger scale life in the Universe, I start to really have feelings and thoughts about my own existence. I have laughed out loud, felt sorrow and concern, related with researchers and been angered by outrageous scientific claims. Nerd facts bringing out emotion? That’s just not right. But it’s an experience that is more powerful than any drama on TV or comedy I see in the movies. Here’s my take on the whole thing: reading leaves room for imagination. Two people sitting ten feet away from each other are reading the same chapter in the same book. But both of them are having completely different experiences. No matter how descriptive a story may be, each person is still going to have a different illustration playing out in their head. Think about book clubs or even English classrooms – the purpose of discussions are to get everyone on the same page and understanding because of the “fill in the blank” nature of reading. 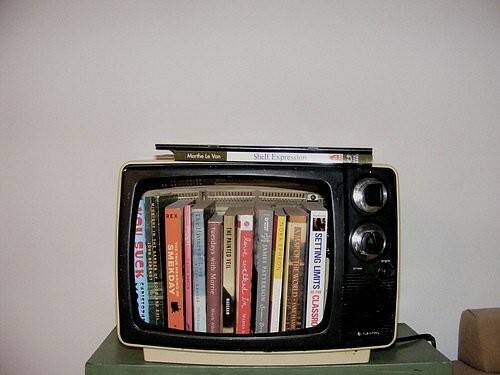 TV, movies and other media rich mediums don’t leave much room for interpretation. It doesn’t take much effort for your brain to absorb the information so the goo just kind of goes with the flow. The conscious effort required to understand a piece of text enriches and livens your senses. So as I said, reading makes the world go ’round. But round for me is probably different than what round is for you. I think of round as a baseball, with seams, and printed logos. You probably think of round like a globe, or a doughnut, or the Pillsbury dough boy, or…you get it.